Do you need a reliable web hosting service to power your website? A website with good performance becomes necessary for business today. It will let customers knows better about you and your products. That will increase the chance of successfully business. How to pick the right web host with best value? Selecting a web host is not an easy job, especially those who are new in this field. Our experts tested the popular web hosting services and wrote honest review for users as reference. Is InterServer reliable and fast? Is it expensive? You will find the answers in this InterServer review. InterServer is an experienced web host which has been on the market since 1999. As an advanced web host, it has achieved high reputation. It delivers efficient service with great features to both individuals and enterprises in domestic and international market. This web host delivers amazing server performance and their average hosting uptime is 99.9%. It uses solid protocol to achieve the best possible speed with the lowest latency. InterServer owns three datacenters in Secaucus, NJ and Los Angeles, CA, and it gives you options to choose datacenters to host your websites. It offers unlimited storage, transfer, websites, email, and free SSL certificates etc. to make developer’s life easier. You have price lock guarantee and there is no need to worry about unexpected extra fee. It provides transparency price and good billing practices. New customers can use the free site migration service. The customizable hosting plans allow you to design and power your website exactly in the way you like. InterServer provides many operating systems including Cloud Linux distro, Centos, Ubuntu, Gentoo, and Red Hat Fedora. This is a risk-free service because the hosting plans are backed by a 30-day money-back guarantee. Simply send the request to their billing support email if you consider it’s not the service you want. Feel safe to use InterServer hosting service. Performance is a very important factor to develop a successful website. Fast page load time and quick server respond will attract more visitors to your website. Your clients won’t be happy if they get stuck many times when they try to read your articles or purchase your products. Some visitors will give up in contacting you as they have wait for minutes to open a live chat window. This is not good for a business. Luckily, InterServer provides excellent performance. It owns and operates datacenters. You can choose the one that is closer to the location of your company to achieve fast speed. This web host uses an intelligent BGPv4 routing protocol which routes traffic to the closest backbone provider. In this way, it reduces latency as well as increases speed. InterServer won’t overload their servers. It keeps its servers around 50 percent capacity, so you have abundant resources at your disposal when using InterServer server. We got pretty impressive high speed and didn’t have serious connections issues during the period we used this service. InterServer service is backed by clear writing SLA to ensure 99.9% uptime. Besides, the power, room cooling system and other stuff are built and managed in-house at InterServer. You can expect high reliability, uptime and performance from this service. InterServer has price lock guarantee, so customers can use this service without concerning of hidden fee. Many web hosts offers cheap price on customers’ initial subscription to attract new users while they upgrade the price for renew. Some of them increase the price by server dollars while some double and even triple the price. The good news is InterServer is not this type of service. Instead, it values loyalty. Its price lock guarantee ensures that it costs the same price as your initial subscription to renew your account. The hosting rate you book now will never cost more in the future. If there is a promotion when you renew the account, you even can get cheaper price. You won’t be overcharged when using this service, so you can use this service at ease mind. 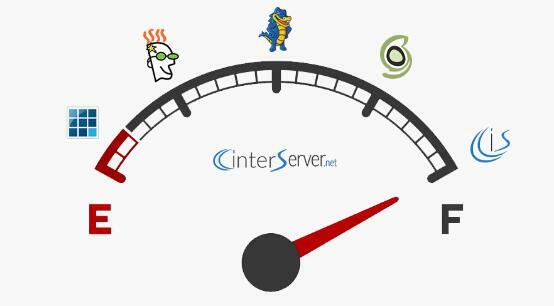 If you already have a website and consider changing a web host, Interserver is a great option. It offers to seamless site migration with little or no downtime. Do you concern that you can’t deal with migration without enough time or required technology skill? We can tell you that it is not a problem. When you are ready to transfer data to Interserver account, you only need to contact and ask their support staffs for help. Interserver migration team is good at migration of custom applications. They have rich experience and will transfer your site files, databases and e-mails with great care and precision to your Interserver hosting account. They also help you change nameservers and transfer domain registration. You can fully communicate with support engineers throughout the migration process. They let you work with Interserver smoothly without any problem. InterServer offers budget-friendly shared hosting packages. They are great choices for growing business with necessary support and technologies, platform and resources etc. Though it’s the shared hosting plan, it offers robust features and superior page loading speed. Free website migration is included. You will get unlimited ULTRA SSD storage operate your website with fast speed and high performance. It supports global content caching to achieve fast page load and satisfy your clients. You are allowed to create unlimited email accounts for the convenience of your business. Intershield protection is available to keep your websites private and safe. Besides, it provides 450+ cloud apps and SitePad website builder to assist you to develop your project easily and effectively. 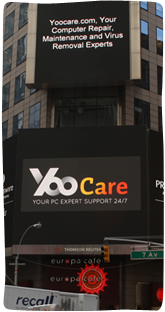 If you need technical support, they have 24/7 customer support. InterServer shared hosting service is affordable. It costs only $5.00 USD per month. As your traffic and data requirements grow, you need to upgrade your plan to dedicated hosting. No matter which package you use, you can upgrade any time. InterServer offers fully managed cheap Linux Dedicated servers, windows dedicated servers, cpanel dedicated servers, and Direct Admin dedicated servers. The dedicated servers are strategically located in two of their datacenters. They use multiple hardware options including SSD, hardware RAID, and more RAM for maximizing performance and flexibility. You will have complete control over the server environment. The resources are 100% devoted to your websites or applications. As the only owner of a server, you will have enough resources and space to handle various types of traffic. Your websites performance won’t be affected by other customers any longer. You are allowed to customize your server’s hardware with the vast array of resources to get performance, power and flexibility you need. It provides a configure button to let you modify memory, hard drive, bandwidth, operating system and control panel etc. You can manage your server effectively. InterServer provides powerful dedicated server hosting service at affordable price. It starts from $50.00 USD per month which is relatively cheap on the market. You can power your project with the best hosting service without breaking the bank. InterServer provides great VPS hosting packages with high flexibility and scalability developers need. VPS is an affordable way to run your website with enough resources. Compared to dedicated server, you can save hundreds of dollars per month on resources and hardware. It also helps you save lots of time in provisioning and maintaining the resources and performance. This web host provides 16 sets of pre-configured VPS plans. It lets customers choose the number of needed CPU cores, RAM, as well as storage and data transfer capacity. InterServer does not require users to pay for bundled software and apps. You only need to pay for what you need and use. It allows you to customize preferred operating system, software, control panels, and server capacity etc. to adapt your project. InterServer VPS platform supports multiple database types with quick installation using Linux package management or bread basket. You can deploy a MySQL server VPS in minutes with security and the ability to restore data. VPS instances can be deployed insides InterServer’s control panel. InterServer VPS hosting service starts from $6.00 USD per month. It is a cost effective and balanced solution to deploy your project. WordPress is the most popular publishing platform in those days. It has been a very effective way to run business and develop a project with the focus on aesthetics, web standards and usability. WordPress comes with open source architecture. It offers frequent updates with new features to ensure excellent customer experience. Once a security issue is found, it pushes a fix instantly. InterServer offers extra security features like strong mod_security ruleset from Atomicorp, daily virus scanners on all internal pages, additional backups and blacklists some known bad WordPress plugins to prevent hacks on WordPress hosting. That ensures your blog and website are always protected. WordPress also is a SEO friendly platform. It has various types of plugins to further optimize your site to follow all the SEO best practices. Your website or blog will rank high on search engines and can be found by visitors easily. It is extremely simplistic and generic to install WordPress. To make your website stand out, you need to design it with beautiful themes and advanced plugins. InterServer provides free 25,000+ plugins and thousands of themes. A collection of premium options are offered to help you customize your WordPress experience. The useful website builders will assist you to build a beautiful website within minutes. InterServer offers great WordPress hosting package at $5.00 USD per month. You will get the best value. If you decide to run your website to visitors from all over the world, you will want a Content Delivery Network. InterServer partners with CloudFlare. Its shared hosting is boosted by Cloudflare’s CDN for free. This web host utilizes CloudFlare’s global network of caching data centers to boot their shared hosting. It makes your website load faster with caching and delivery optimization. In this way, visitors from anywhere will be connected to server which is close to them to have the best possible performance. Besides, CloudFlare CDN protects your website from a wide range of security threats. You don’t need to purchase it because you will get it for free if you sign up an InterServer hosting package. You can log into your Cloudflare account via your hosting panel. It is very important that your web host’s customer support is available when you meet problem in using the service. Serious issue needs to be fixed immediately to prevent any loss to your website or client. InterServer provides 24/7 support service for its customers. No matter which plan you purchase, you have fully access their support. The support team is available 24/7 by phone, live chat and ticket system. No matter it is day time or night time in your time zone, they are always ready to offer you help. If you have problem in upgrading plan, setting email account or updating plugins, feel free to contact them. They are patient and knowledgeable. The support team also can help you detect and fix server issues such as database issues or services that are not running. When you need to migrate your site, they will help you transfer your existing site to their servers for free. When you have emergency issue, contact them by phone or live chat so that you can communicate with experts directly and get problem fixed right away. It will take longer time to get a respond after you submit a request via the ticket system. InterServer offers considerate customer support to handle various issues for developers, so developers can focus on their project and business. InterServer is a great web host that has competitive features and price on the market. It offers a wide range of excellent hosting services with solid security, reliability, and technical expertise that developers expect. 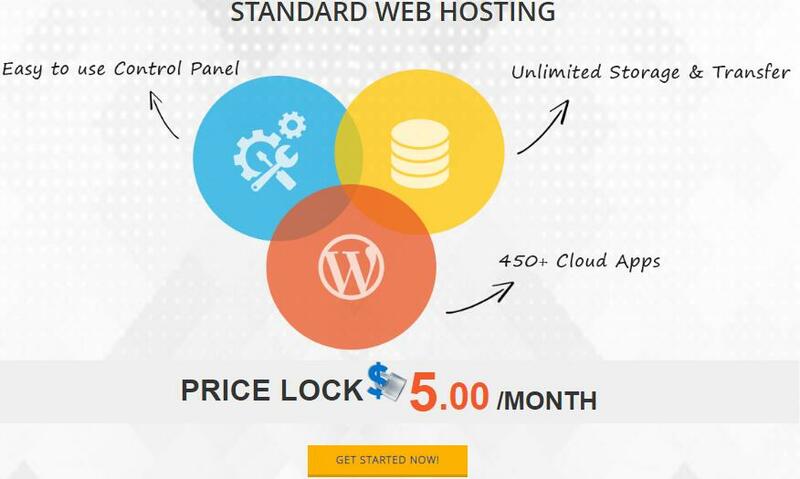 This web host focuses on business hosting with fast servers and optimized network connections. It utilizes advanced hardware and technology to achieve excellent performance. You will be satisfied with the amazing page load time. The CloudFlare CDN allows visitors from different countries to load your website quickly enough. It uses free SSL certificate to encrypt all data communication and protect your clients’ privacy. InterServer designs their product to be simple to use. It offers complete CPanel with all necessary features to let you start your project easily. You can manage your server resources, customize environment and execute tasks in one place. The 24/7 customer support also is very helpful. The support team is knowledgeable and patient to answer your question and fix your issue. InterServer offers a price lock guarantee. Your hosting rate won’t go up in the future. It provides affordable and straightforward prices on their products. It only costs $5.00 USD per month to start your project with InterServer. Besides, it has a free plan for nonprofits and kindly offers students free package for their first year. InterServer is reliable, fast and budget friendly hosting service.